How to Remove SNS Nails at Home? In the past few years, SNS nails have become just as popular, if not more popular than acrylic nails. They are a healthy alternative to acrylic, and unlike common nail varnishes, your nails become healthier with each application. So why would you like to learn how to remove SNS nails? Well, for starters, while you can enjoy your powder nails for up to two weeks, the time has come to remove them. You cannot fill in SNS nails. And instead of going to the salon just to take off your manicure, you can do that at home. SNS is a nail dipping system that stands for signature nail systems, and they are basically a modified form of acrylic powder. SNS nails come in more than 350 gelous colors. They feel more natural and can last up to 14 days, or two weeks. But after those 14 days, you need to remove them. 1 How to take care of your nails after removing manicure? 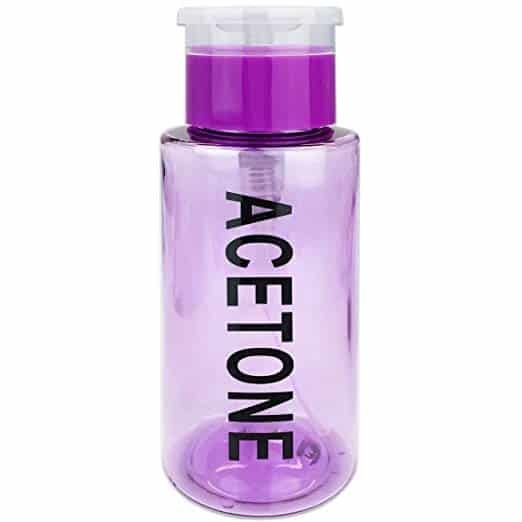 Acetone is basically called the “official method for removing SNS nail manicure”. Even the guidelines for removing SNS involve acetone. In order to use acetone, you have to soak your nails in acetone. Some guidelines recommend sanding off the top shine, but the reality is that it is not necessary to remove any of the colored layers. Pour acetone into a shallow container, and soak your nails for up to 10 minutes. Dry them with a paper towel. To be honest, in some cases, it might take 20 minutes to dissolve the polish. Just check one nail after 10 minutes, and see if the coating feels sticky and soft. If you can wipe it off with a paper towel, your nails are ready. If not, leave them to soak for 10 more minutes in acetone. This is identical to what will happen if you go to a beauty salon and ask for a specialist to remove your SNS nails. The method is fast and effective. Acetone is widely regarded as the quickest way to dissolve manicure. However, acetone is a chemical that can also irritate your skin, nose, and throat. The mere odor can make you feel dizzy and nauseated. In some cases, removing nail polish with acetone can give you a headache. Therefore, some people turn to other methods for how to remove SNS nails. 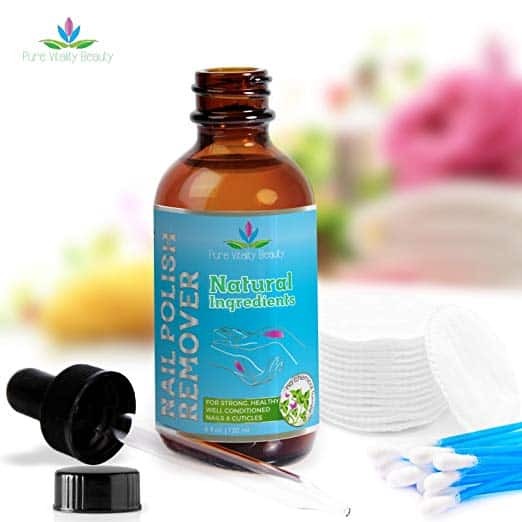 Using nail polish remover is the next simplest thing for removing SNS nails. Some of them contain acetone but not in pure form. Nail polish removers also contain perfumes, oils, and some other chemicals. That is why they are not on the list of natural ingredients for removing nail polish. For using nail polish remover, you still have to soak your nails. And you will have to soak them for a longer period, between 20 and 25 minutes. This will help you dissolve the manicure, after which you can just wipe it off. An effective way of skipping acetone for removing nail polish is using alcohol. You can choose from a variety of options, like rubbing alcohol, hand sanitizer, or even pure alcohol like vodka. Always go for a solution with the highest concentration of alcohol. Sand down the top layer of gel coat, and then soak your nails in alcohol. Wait for as long as it takes for your polish to feel soft and sticky. You will have to wipe off one layer, soak your nails again until the next layer softens, and wipe off that layer. This method may take 30 minutes. Alcohol is less efficient solvent, so it is only logical the process takes more time. Just be careful, using alcohol can also put you at risk of inhaling alcohol vapor. And that can make you ill. Wear a mask to avoid breathing in fumes from solvents. This method also employs acetone, but it is a bit different. Start by sanding down the top layer of each nail with a nail file. Soak cotton balls in pure acetone, and cover each fingernail with one cotton ball. Be careful, the cotton balls should not be dipping in acetone, but they should still contain plenty of the liquid. 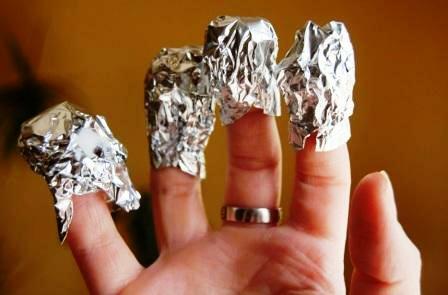 Next, wrap your nails in aluminum foil to hold the cotton balls in place. Make sure the foil completely covers your nail and holds the cotton ball. Wait for 15 minutes and allow your nails to soak in the acetone. Remove the foil and cotton balls, and press slightly on each nail so that the cotton ball wipes off the powder. File off any residue left over from the powder. Acetone is the common standard for removing SNS nails. But you can also try household items, that works just as fine. If you want to dig deep into other tools you can use for how to remove SNS nails, we’ve got you covered. Now, these solutions might not work as effectively as acetone. But they are natural. The important thing is you have to be patient, as these solutions take more time. For example, you can try a slow-drying nail polish. This will help you dissolve the manicure. Simply paint the polish on a nail, and then wipe it off with a paper towel. Repeat the process, and the solvents in the polish that cause it to dry will disintegrate your manicure one layer by another. For a true homemade solution for SNS nails, just get some white vinegar. It is one of the cheapest, yet effective solutions. And we all have it at home. We have to start thinking of white vinegar as an all-purpose miracle cleaner. Because it is acid, it will be destructive to nail polish. 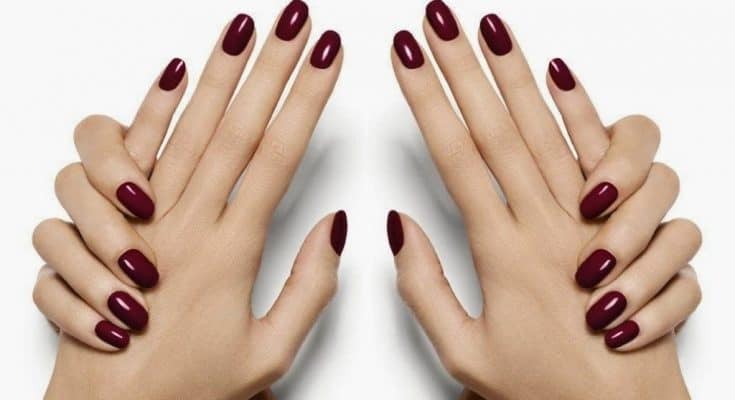 Avoid scratching your nails and manicure, as vinegar can be hash. To use vinegar, follow the same steps of sanding and then soaking. Another household item you can use is baking soda. Mix baking soda and toothpaste, and then scrub away your nail polish. This solution will definitely surprise. Last, but not least, you can mix two parts of hydrogen peroxide and one part of hot water. Soak your nails in the solution, and it will weaken the manicure. Just file your nails afterward. How to take care of your nails after removing manicure? Once you’ve removed your SNS nails, you definitely want to repair and nourish your nails. Exposing your nails to solvents and chemicals can be harmful, and your fingertips will probably look unhealthy. It is time to show them some love, and help them recover. Start by cleaning your hands with soap and warm water. Pat them dry afterward, and you are now ready for a replenish and repair treatment. We suggest using tea tree oil. Being it is a great antifungal remedy, you can use it to give your hands a treatment they always wanted. Blend a few drops of tea tree oil, and some coconut or olive oil, and then massage your nails. Another essential oil that works is lavender. Mix it with sweet almond oil to fight off infections and help your skin heal. And even if you do not have essential oils at arm’s reach, just massage your nails with olive or coconut oil. Your favorite hand cream will work as well. It is important that you nourish your nails so that they are soft and clean. And if you notice your nails have white patches, it might be time to give them a little break of nails and manicure. Vaseline on Eyebrows – Does it Help? How to Use it? We sometimes use affiliate links which means that, at zero cost to you, we may earn a commission if you buy something through our links.